Wendy Williams‘ hiatus from ‘The Wendy Williams Show‘ continues, but this week she had a little back up from friend of the show, Nick Cannon. Nick will be hosting for the first half of this week and kicked off Monday’s show with a message directly from Wendy who he spoke with prior to filling in for her. According to the comedian/actor/rapper, Wendy is doing much better and in good spirits but wanted to make sure fans knew that despite rumors and speculation; her family unit is still in tact. It’s been reported that Wendy’s husband, Kevin Hunter got his alleged longtime mistress pregnant, which has been contributing to the daytime diva’s stress and health issues. Wendy’s mother in law even came out last week and reportedly told the National Enquirer that she had witnessed physical abuse to Wendy first at the hands of her son. The message from Nick is clearly damage control. Get into it below. 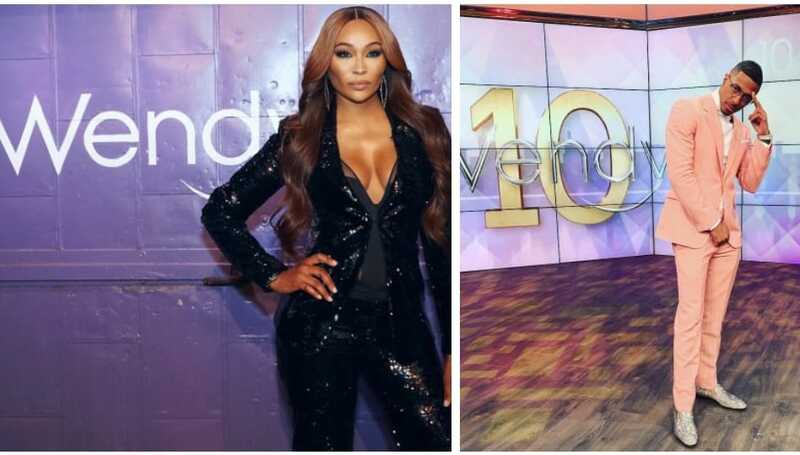 Later in the show, Nick sat down with Cynthia Bailey to dish on her love life, the current season of ‘The Real Housewives of Atlanta‘ and more.